Here at the IWRC, we are excited to announce the first speaker for the upcoming Midwest Food Recovery Summit. Mr. Tom Vilsack, former U.S. Secretary of Agriculture and Iowa governor, will be opening up the summit on Wednesday, September 6. Here are some quick things you need to know about our first announced keynote. He is the former United States Secretary of Agriculture. Vilsack joined the U.S. Dairy Export Council in January 2017 after serving eight years as the nation’s 30th Secretary of Agriculture, where he worked to strengthen the American agricultural economy, build vibrant rural communities and create new markets for the innovation of rural America. Vilsack was the longest-serving member of President Obama’s original Cabinet. Under his leadership, food waste received a jumpstart at the federal level. In 2015, the USDA and the EPA announced the first ever food waste reduction goal -- cutting our nation's food waste by 50% by the year 2030. The agencies devised a plan to create U.S. Food Loss and Waste 2030 Champions which are businesses and organizations dedicated to reducing food waste. Since its launch, the USDA has been responsible for educating consumers about food loss and waste, providing information about on-farm storage as well as connecting fresh produce with charitable organizations. Did we mention the USDA headquarters even increased their composting efforts? Each action and commitment helped to normalize the issue of food waste with Americans. He’s still working in the agriculture sector. 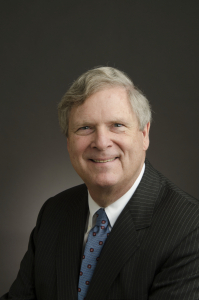 As president and CEO, Vilsack provides strategic leadership and oversight for the U.S. Dairy Export Council global promotional and research activities, regulatory affairs and trade policy initiatives. This includes working with industry leaders to develop a long-term vision for building sales and consumer trust in U.S. dairy. He’s always been an Iowa advocate. Although he was born in Pittsburg, Vilsack found a home in Mount Pleasant, Iowa. He began his political career as the mayor of Mount Pleasant in 1987, continued as state senator, and eventually became governor of Iowa in 1999. Between 1999 and 2007, Vilsack worked alongside Iowans to enhance agriculture as well as invest in new technologies for the state. We’re excited to welcome Mr. Vilsack back to Iowa in September as part of our summit. We hope you’ll join us and hundreds of food waste and food recovery advocates in Des Moines from September 6-8 to hear from Mr. Vilsack and many other leading industry experts. You can learn more about the summit and register online at https://iwrc.uni.edu/foodrecoverysummit. Update: Unfortunately due to a scheduling conflict, Mr. Vilsack will not be able to attend the Midwest Food Recovery Summit.